Ideal for outreach, the world's smallest turnkey digital planetarium system! 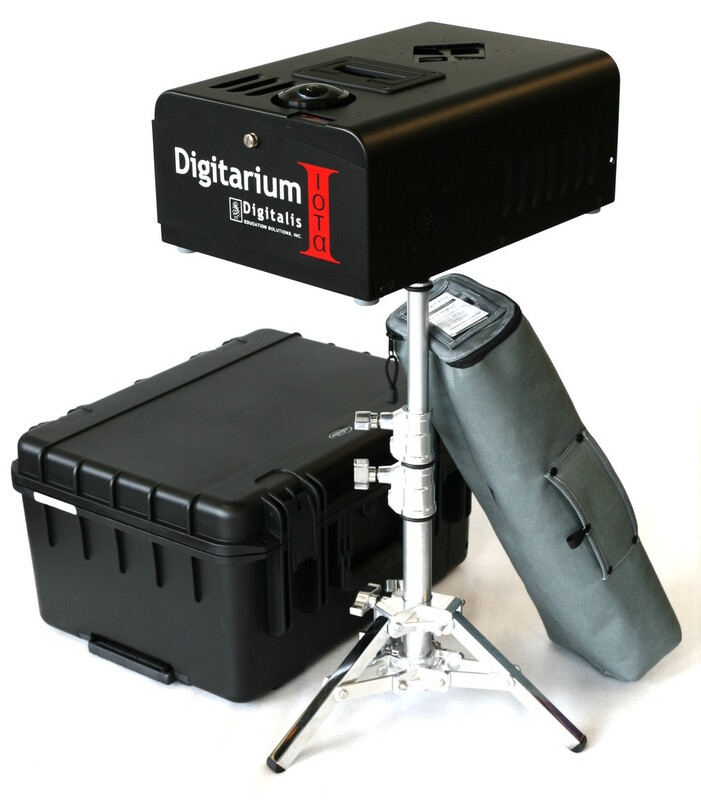 Extremely compact, lightweight, and powerful, the Digitarium Iota (pronounced eye-OH-ta) makes it easier than ever for one person to transport, set up, and teach with a high resolution portable digital planetarium system. Never before has a complete system been this small or powerful. 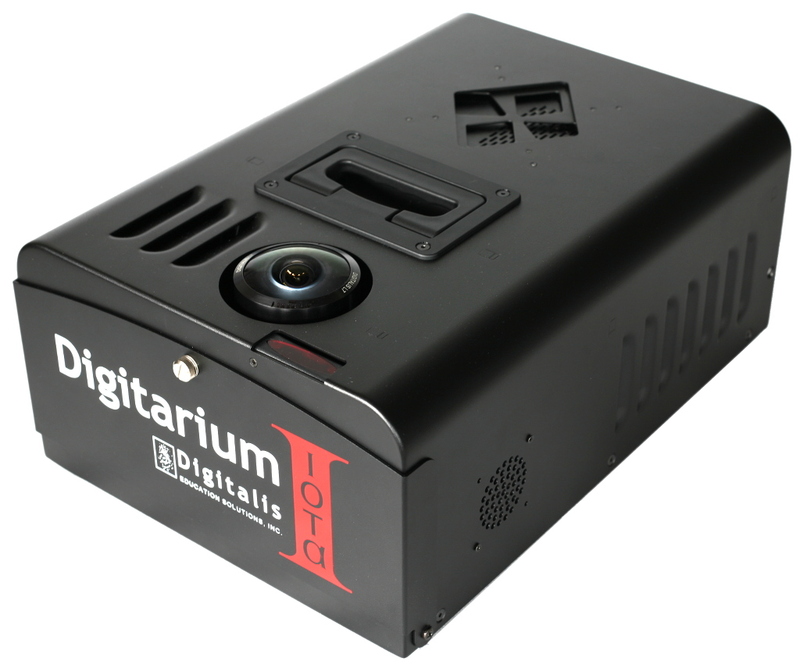 The Digitarium Iota projects over a full dome with no blind spots or cutouts. 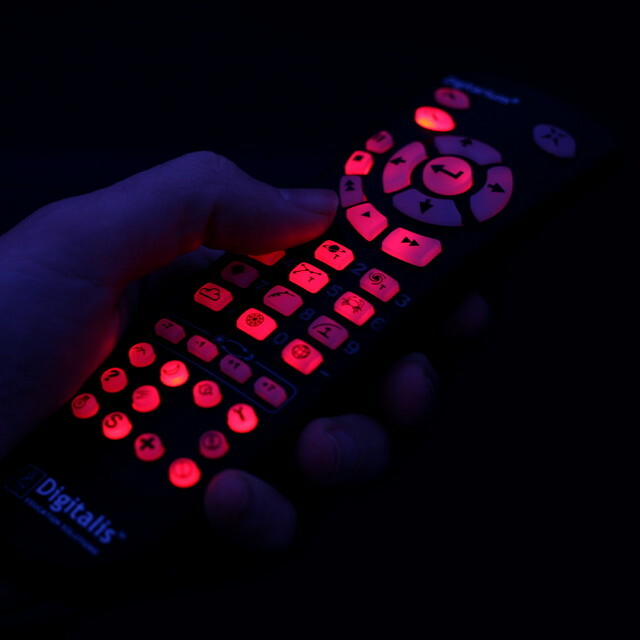 It is the culmination of years of development effort, with our own innovative proprietary lens design. 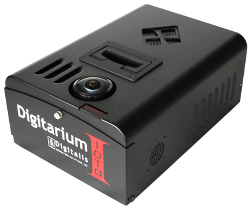 The Digitarium Iota offers not just a compact size but quick set up, intuitive user interfaces, high resolution, excellent projection quality, and wealth of other features. Digitalis sells inflatable domes in several diameters for a complete portable solution. Typically ~175 degrees. 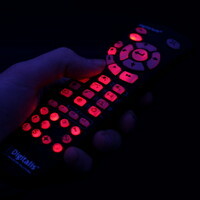 User can zoom to as little as 122 degrees for special situations. Nominal projector contrast of up to 2,500:1. Up to 2,250 hours on high, 3,000 hours in eco mode. The rugged transit case is airtight and watertight (to 10 feet underwater) with built in wheels and an extendable handle for easy transport on flat surfaces.